If you have ever been asked to pull a report from Dynamics, you know it is almost impossible to easily get a picture of the impact marketing is having on leads, accounts and opportunities. Adding a Revenue Cycle Model (RCM) to your instance can give you a very powerful vehicle for reporting on the progression of Leads through your funnel. If you have not yet investigated Marketo’s RCM, or you are ready to set it up, I highly recommend Michelle Miles’ post “5 Tips for a Successful Marketo Revenue Cycle Model (RCM)” which provides an excellent framework to setting up a solid RCM in Marketo. Importing leads into Dynamics is a tedious and sometimes excruciating process. Any existing records in Dynamics fail during import so any field updates from the file you are importing are lost. The existing records then need to be manually edited one-by-one with the updated information. Marketo automatically de-dupes based on email address and can update existing records with information you are importing. So why not use Marketo to get new records into Dynamics and update existing records? You have two options… One, you can create a stand alone import program and clone it to track each individual imported list. Or two, you can create a master import engine to use every time to get records into Dynamics through Marketo. Despite the fact that you don’t have the handy dandy, native Marketo flow steps to assign a Dynamics task to a sales rep or to change the owner of a record, you can accomplish these tasks with a little help from your friendly neighbourhood Dynamics administrator. Take the example of changing the owner of a record once it has been sync’d with Dynamics. If your Dynamics administrator will do 2 things for you, you can change the record owner in Dynamics and Marketo. First your Dynamics admin creates a custom option set field called “New Owner”. With the names of the sales reps in your organization you can then sync that field to Marketo. You will use that field in a “Change Data Value” flow step to set the new owner value. Second, your Dynamics admin will create a workflow in Dynamics that monitors for changes to the “New Owner” field and then assigns a new owner based on the changed data value from Marketo. I encourage all Marketo/Dynamics marketers to write about their experiences in the Marketo Community and share tips and tricks. Our feedback provides Marketo with information in hopes they make improvements to the Marketo/Dynamics connector. 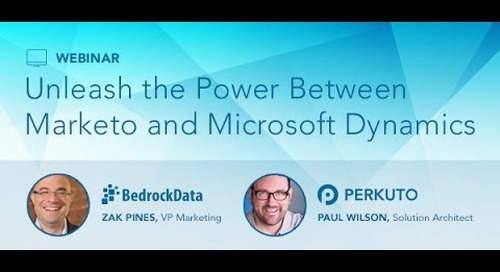 Fact is, there are hacks that work around some of the limitations in a Marketo and Dynamics environment, but it definitely is not pushing an easy button. To quote the Rolling Stones: You can’t always get what you want, but if you try sometimes well you just might find, you get what you need! 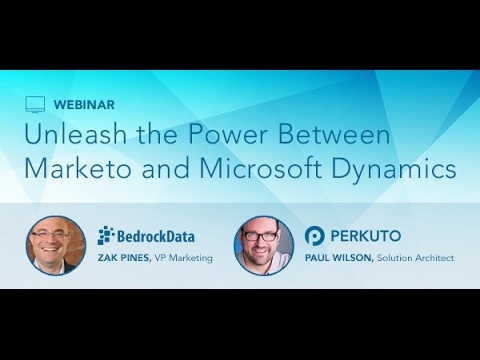 Contact Perkuto for more tips and tricks about Marketo and Microsoft Dynamics.